Below you will find a collection of photos that illustrate different glacial environments, processes, sediments and landforms. Most of the photos are mine, and you are free to use them for educational purposes, bur please refer to my home page as the source. 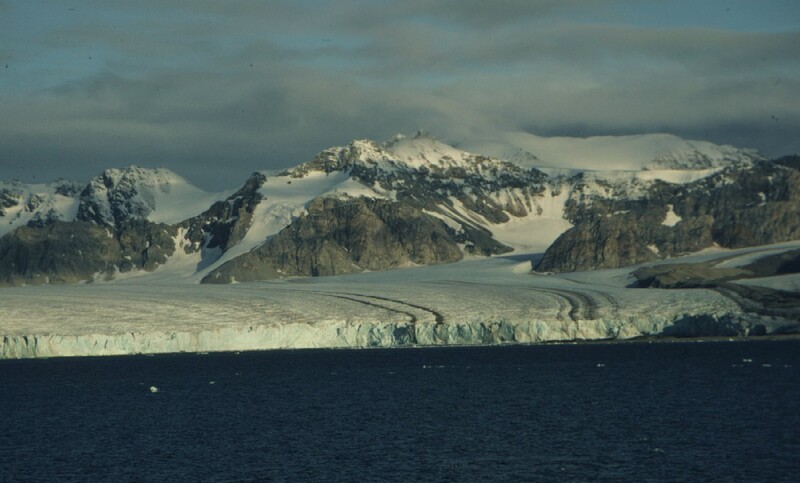 Tidewater glacier in Wollstenholm Fjord, Thule, Greenland. Photo: Ólafur Ingólfsson, 1986. 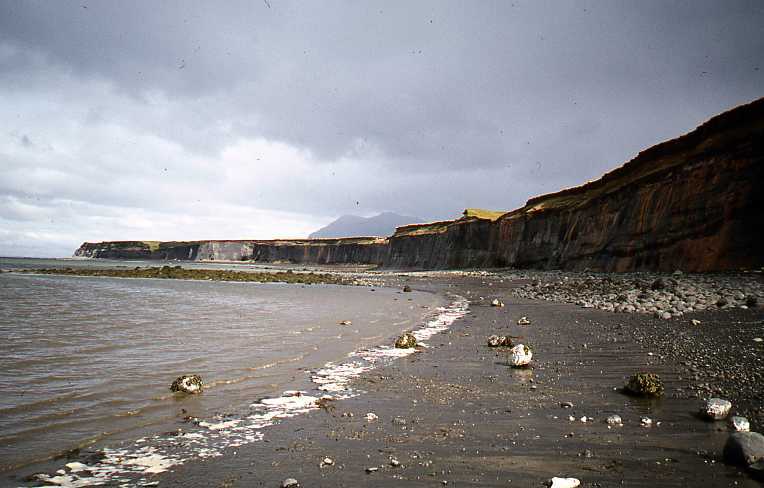 Kettle hole in sandur field, 1890 moraines of Brúarjökull. Photo: Ólafur Ingólfsson 2004. Subglacial meltwater channels, Brúarjökull forefield. Photo: I.Ö. Benediktsson, 2004. Cracks due to downwasting of buried dead ice. Brúarjökull 1890 moraines. Photo: I.Ö. Benediktsson. 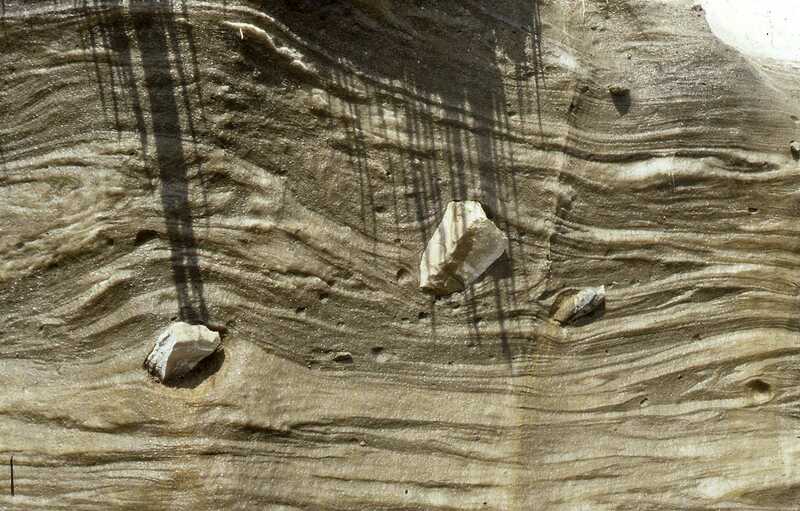 Striated stoss-lee boulder. Brúarjökull forefield. Photo: I.Ö. Benediktsson, 2004. Crevasse fill, melting out of Brúarjökull ice margin. Photo: I.Ö. Benediktsson, 2004. Slightly curved flute, Brúarjökull forefield. Photo: I.Ö. Benediktsson, 2004. 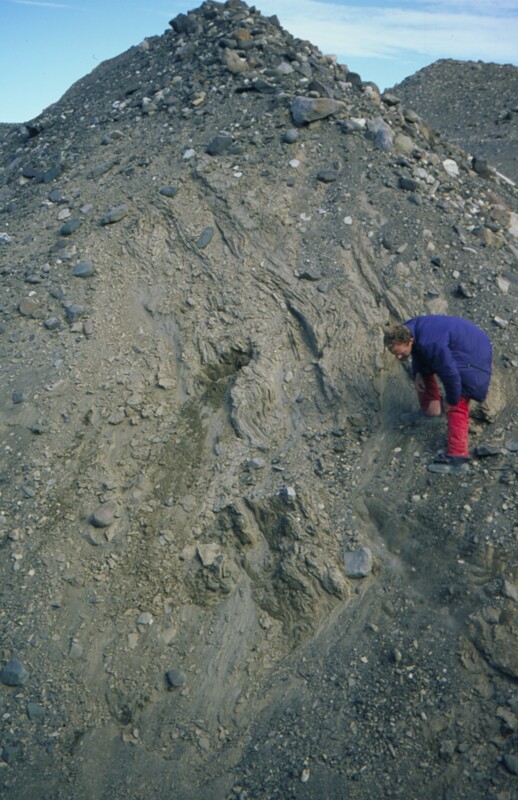 Crevasse fill crossing a flute. Photo: I.Ö. Benediktsson, 2004. Field of crevasse fills, Brúarjökull forefield. Photo: I.Ö. Benediktsson, 2004. 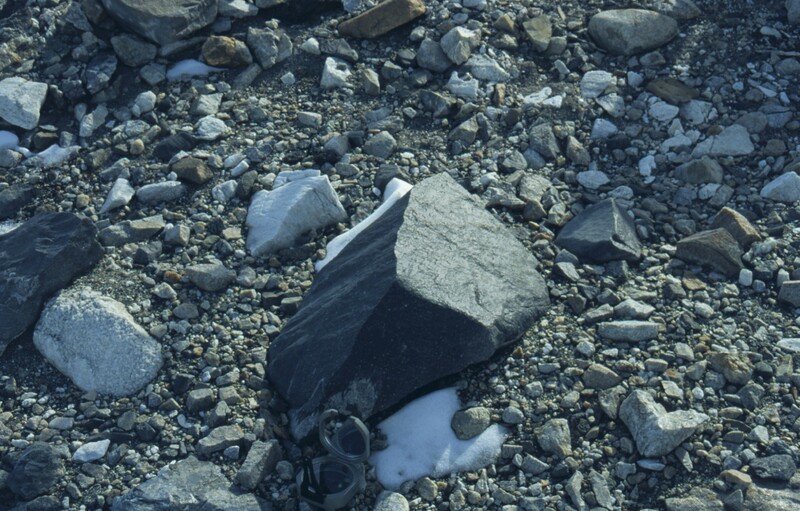 Large, lodged boulder at the head of a flute. Photo: I.Ö. Benediktsson, 2004. A small flute, Sólheimajökull forefield. Photo: Ó. Ingólfsson, 2004. Crevasse fill, Brúarjökull forefield. Photo: L.R. Bjarnadóttir, 2004. 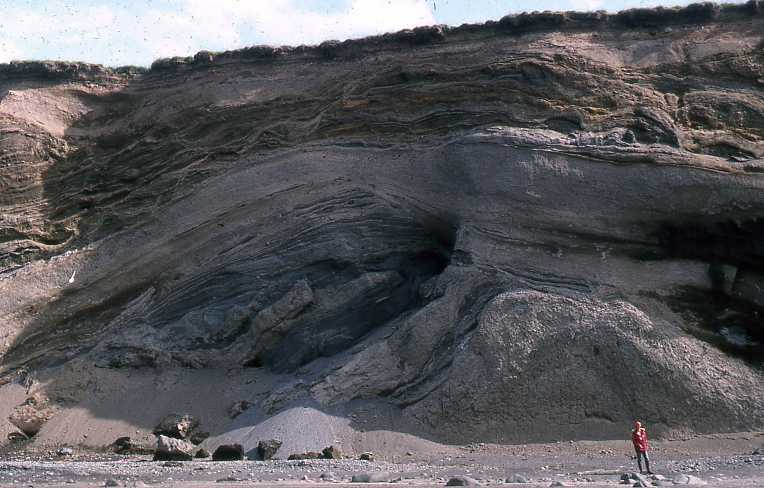 Glaciotectonically folded soils, Brúarjökull forefield. Photo: I.Ö. Benediktsson, 2004. 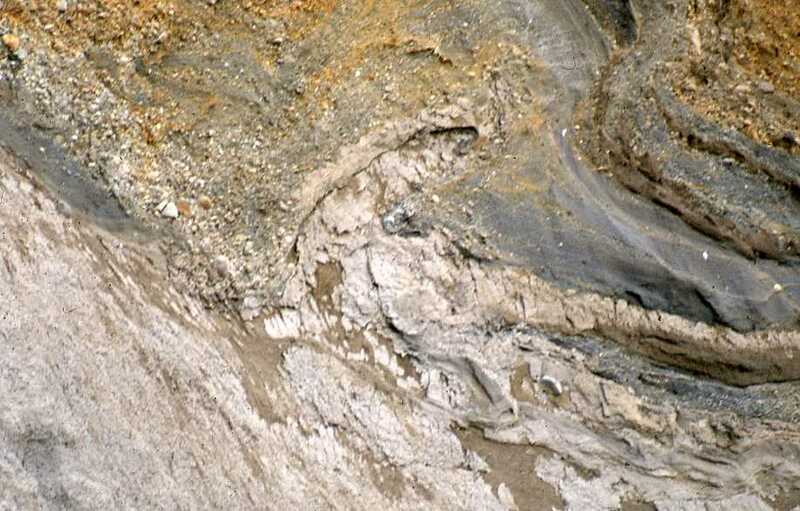 Glaciotectonically deformed marine sediments. Bogen, Kongsøya, Svalbard. Photo: Ó. Ingólfsson, 1991. Section through glaciotectonically deformed soils. Brúarjökull 1890 moraines. Photo: I.Ö. Benediktsson, 2004. Brúarjökull in surge. Photo: S. Thorarinsson, 1964. Margin of Brúarjökull in surge 1964. Photo: S. Thorarinsson, 1964. 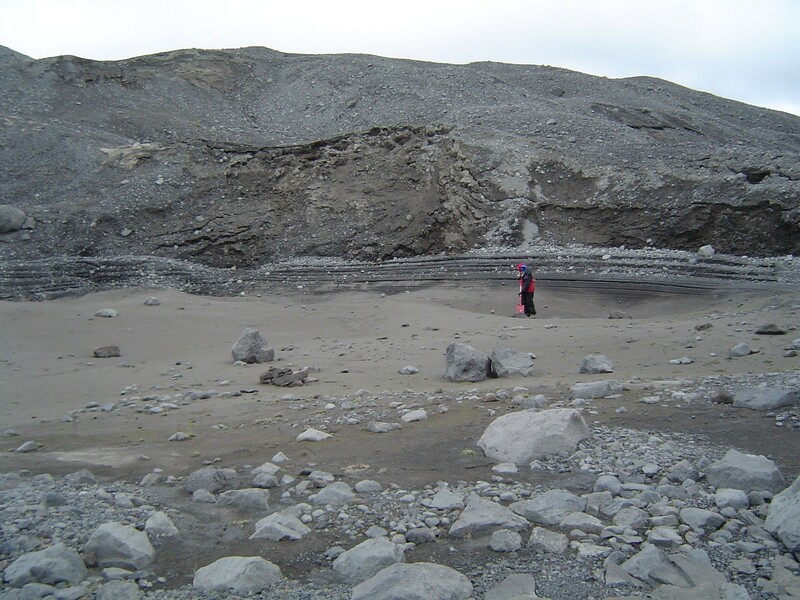 Collapsed sandur field over dead ice. Brúarjökull forefield. Photo: Ó. Ingólfsson, 2004. Crevasse fill melting out of Brúarjökull margin. Photo: Ó. Ingólfsson, 2004. Crevasse fill, Brúarjökull margin. Photo: L.R. Bjarnadóttir, 2004. 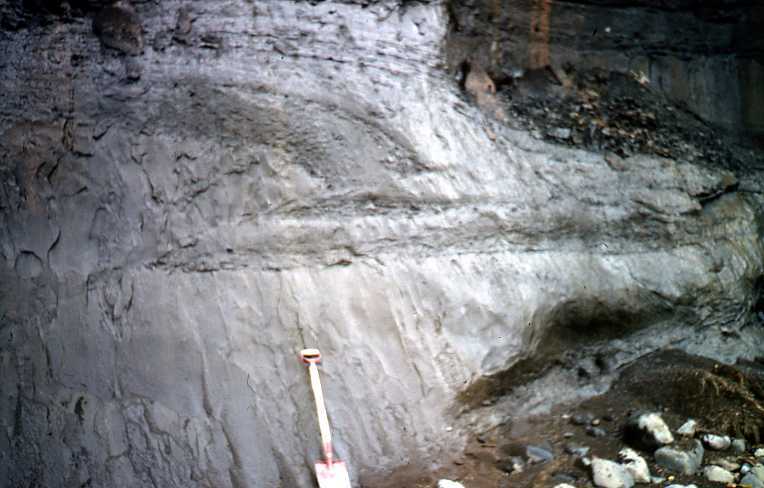 Crevasse fill on fluted surface. Brúarjökull forefield. Photo: L.R. Bjarnadóttir, 2004. Dead ice below sandur deposits. Brúarjökull forefield. Photo: Ó. Ingólfsson, 2004. 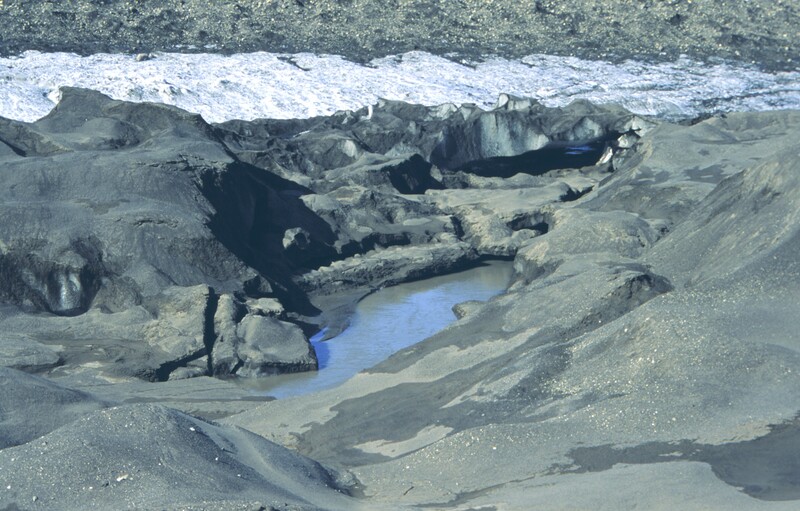 Dead ice pond in the lateral moraines of Gígjökull. Photo: Ó. Ingólfsson, 2004. 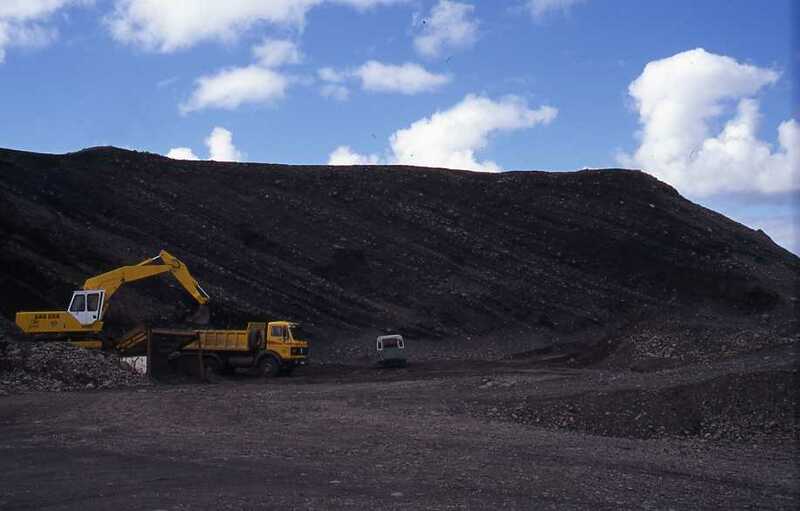 Large dirt cone in the Brúarjökull forefield. Photo: L.R. Bjarnadóttir, 2004. 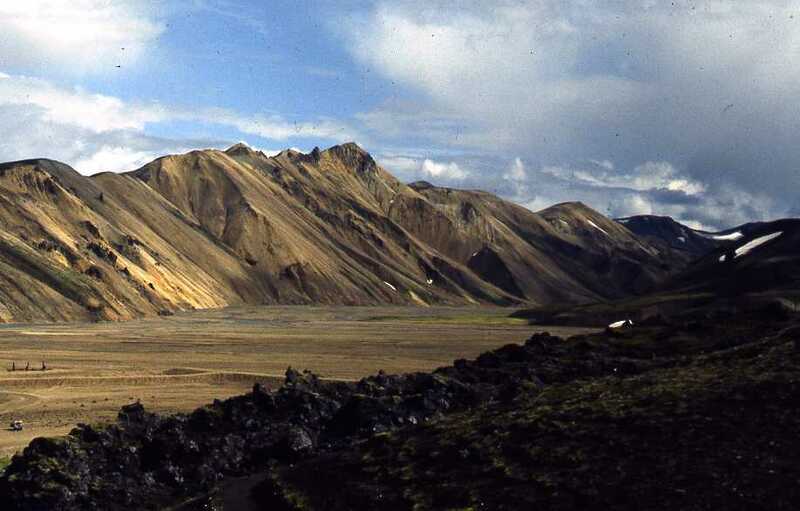 Dirt cones, Sólheimajökull. Photo: Ó. Ingólfsson, 2004. Dirty glacier surface, Brúarjökull ice margin. Photo: Ó. Ingólfsson, 2004. 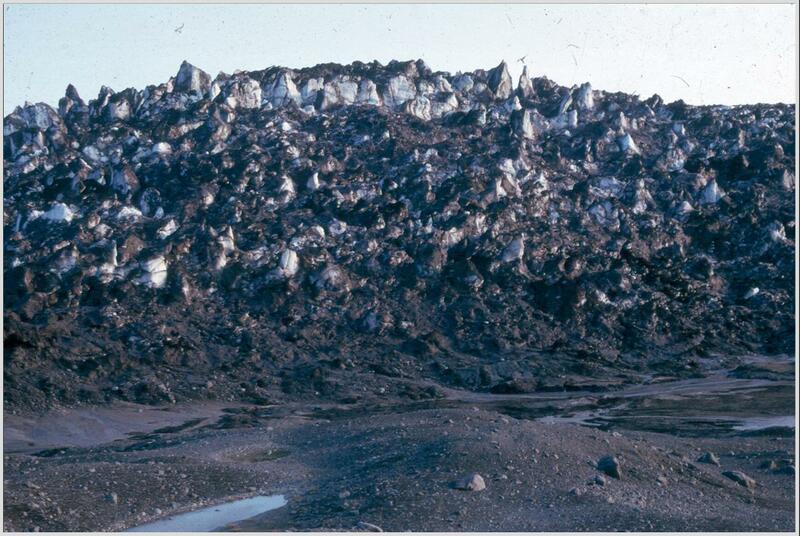 Extremely dirty, melting ice margin of Brúarjökull meets fluted and muddy surface. Photo: Ó. Ingólfsson, 2004. 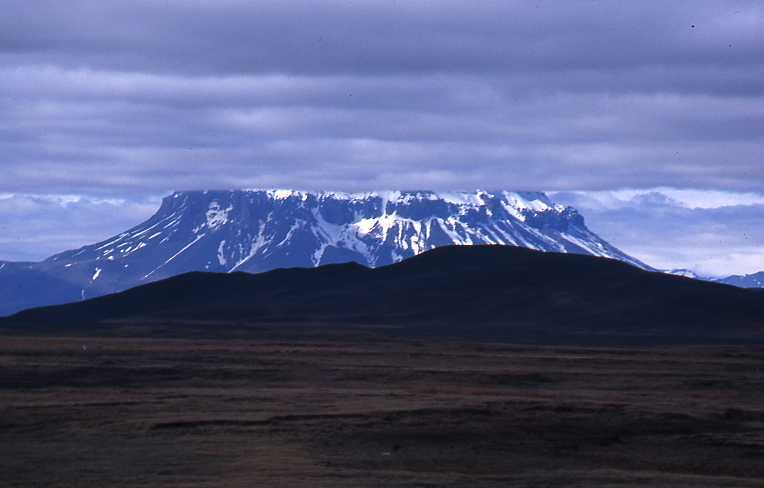 Esker formed during ice retreat from 1890 moraines, Brúarjökull forefield. Photo: Ó. Ingólfsson, 2004. 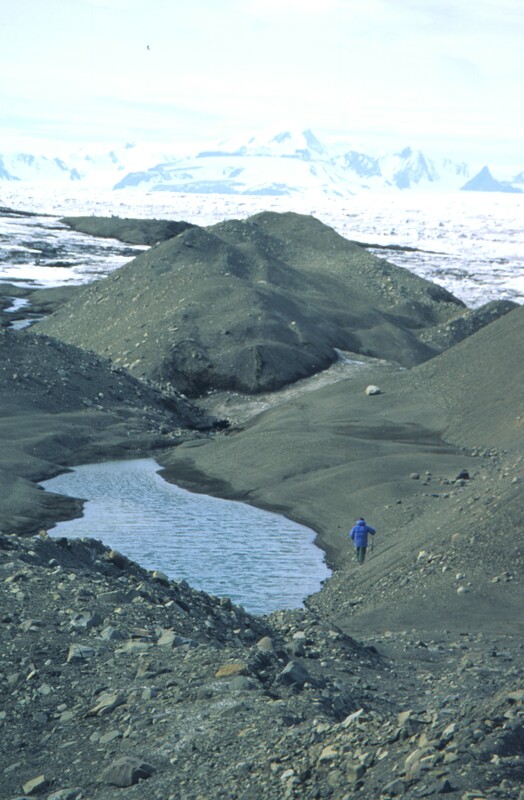 Esker melting out of Brúarjökull. Photo: L.R. Bjarnadóttir, 2004. Fluted surface in front of Brúarjökull. Photo: Ó. Ingólfsson, 2004. Fluted surface in front of Brúarjökull seen from helicopter. Photo: L.R. Bjarnadóttir, 2004. Frost shattered boulder. Brúarjökull forefield. Photo: Ó. Ingólfsson, 2004. Glaciated coast, with tidewater glacier. Antarctic Peninsula. Photo: Ó. Ingólfsson, 1989. 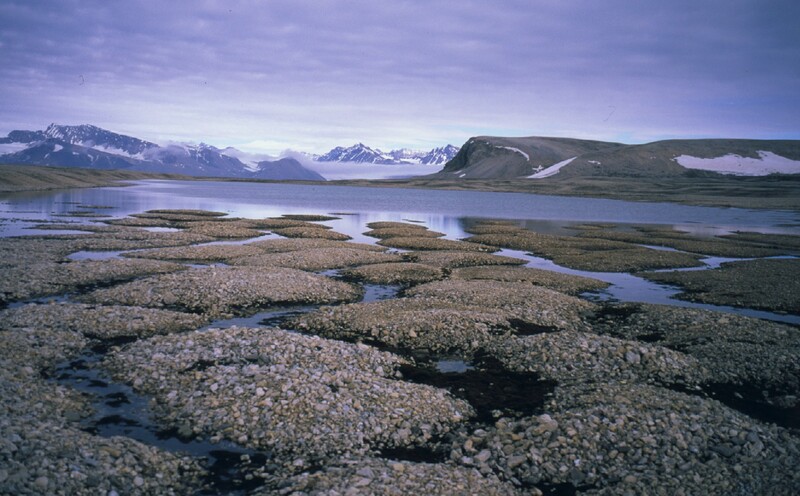 Tidewater glacier, western Spitsbergen. Photo: Ó. Ingólfsson, 1991. 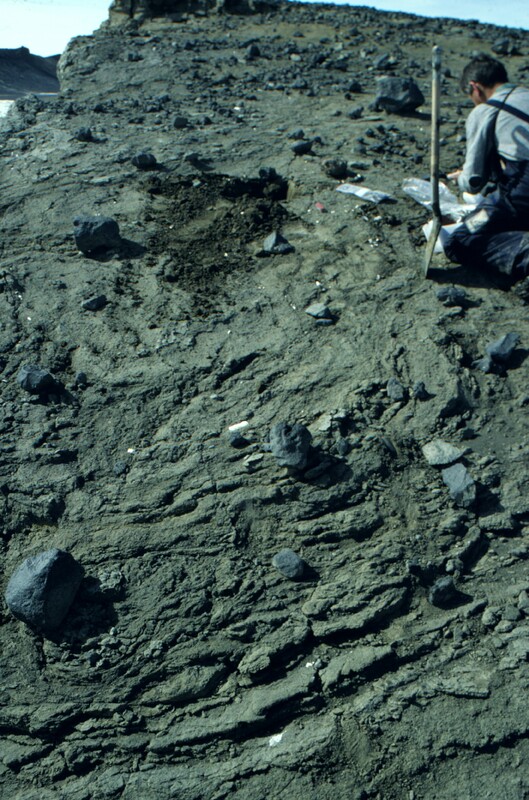 Glaciomarine sediments, with subfossil shells. James Ross Island, Antarctica. Photo: Ó. Ingólfsson, 1987. Glaciotectonic thrust faults. 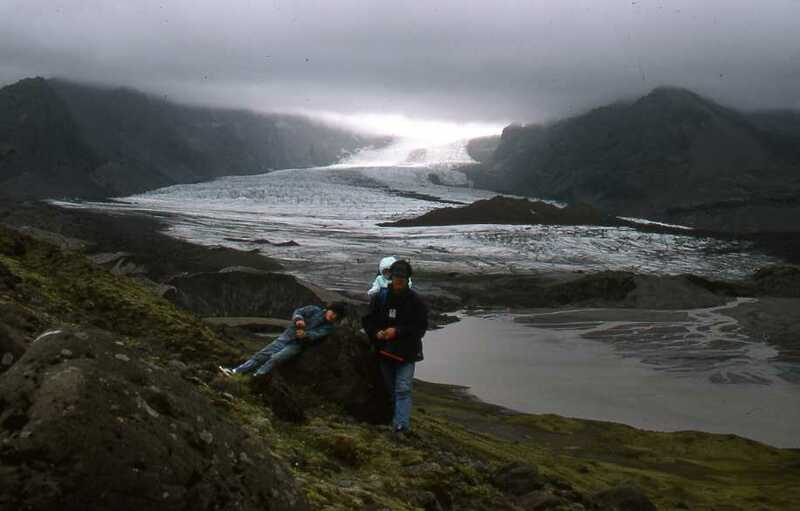 Brúarjökull 1890 moraine complex. Photo: Ó. Ingólfsson, 2004. 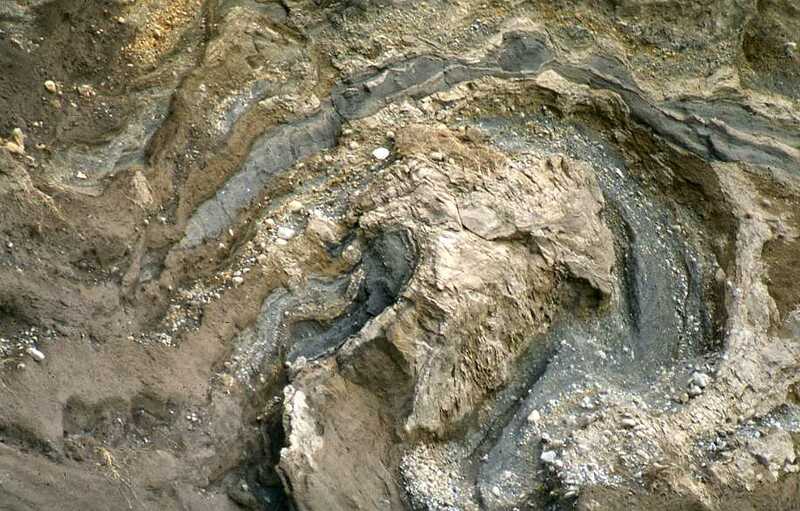 Glaciotectonized soils, "Töðuhraukar", 1890 Brúarjökull moraine. Photo: Ó. Ingólfsson, 2004. Glaciotectonized ridge, Ares Oasis, Alexander Island, Antarctica. Photo: Ó. Ingólfsson, 2000. Grounded ice front, Kongsvegen tidewater glacier, western Spitsbergen. Photo: Ó. Ingólfsson, 2004. Ice cored lateral moraines, Gígjökull. Photo: Ó. Ingólfsson, 2004. 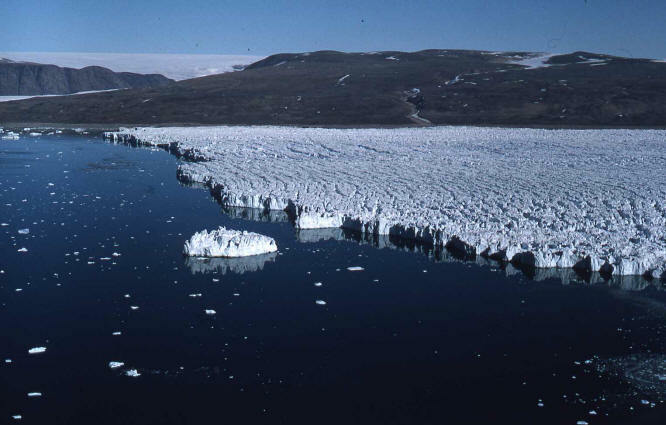 Ice front, with meltwater tunnel. Sólheimajökull. Photo: Ó. Ingólfsson, 2004. 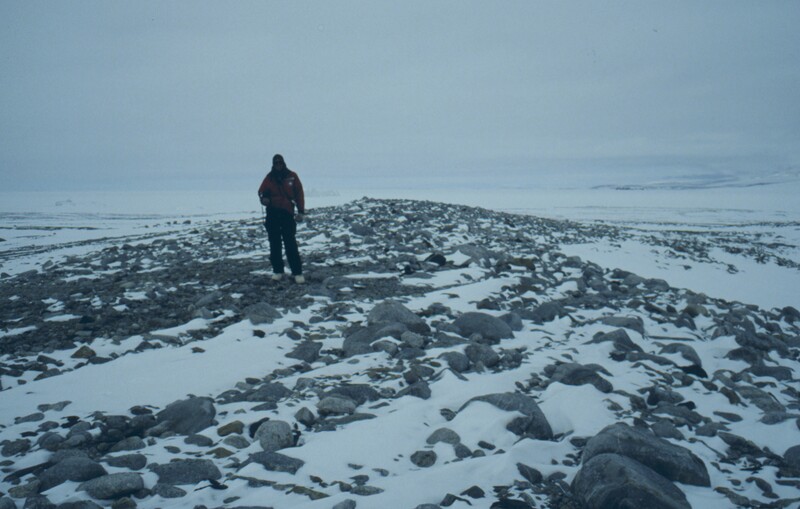 Ice cored moraine, Ares Oasis, Alexander Island, Amtarctica. Photo: Ó. Ingólfsson, 2000. Ross Sea Drift, Taylor Valley, Antarctica. Photo: Ó. Ingólfsson, 1994. 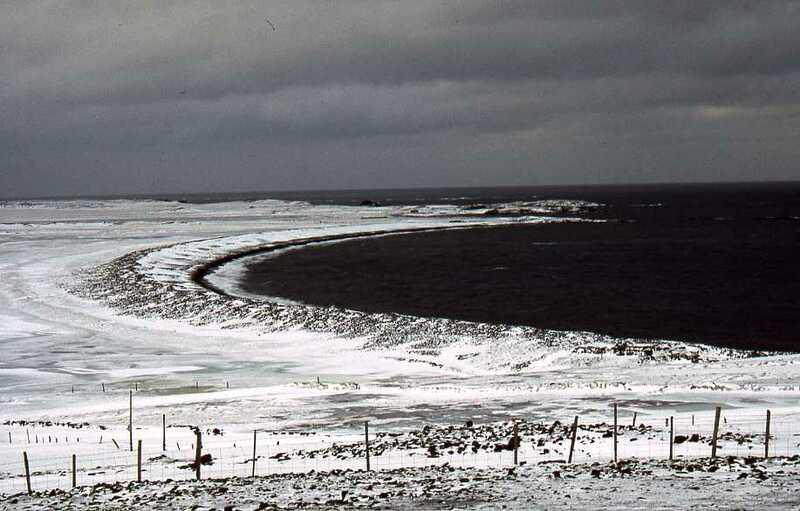 Strandlines along Lake Wanda, Wright Valley, Antarctica. Photo: Ó. Ingólfsson, 1994. 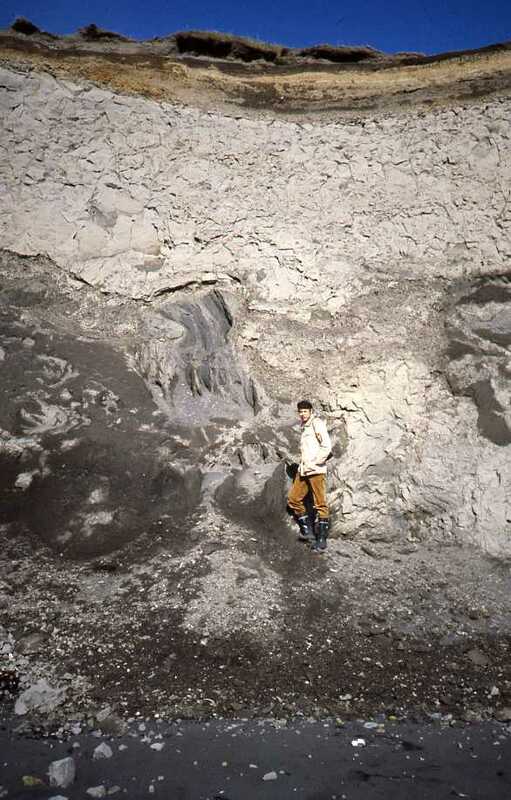 Lakes in dead ice landscape, inside the 1890 moraines of Brúarjökull. Photo: Ó. Ingólfsson, 2004. 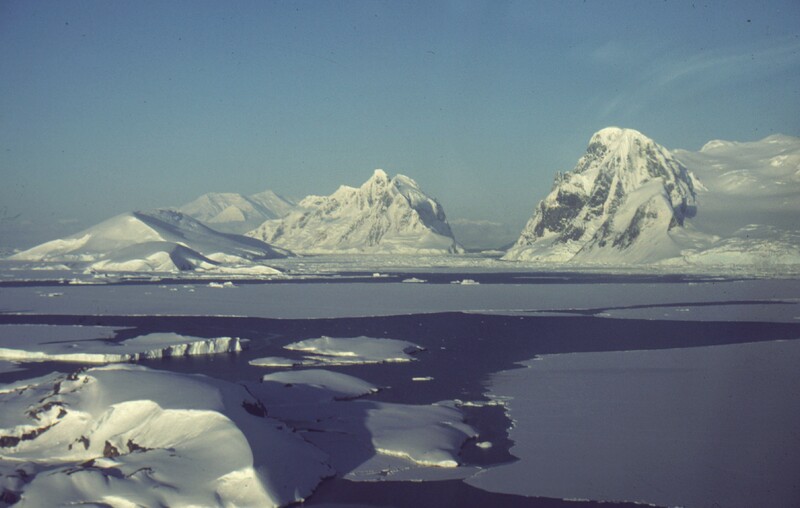 Glaciated landscape: The LeMaire Channel, Antarctic Peninsula. Photo: Ó. Ingólfsson, 1987. Lodged boulder at the head of a flute, Brúarjökull forefield. Photo: Ó. Ingólfsson, 2004. 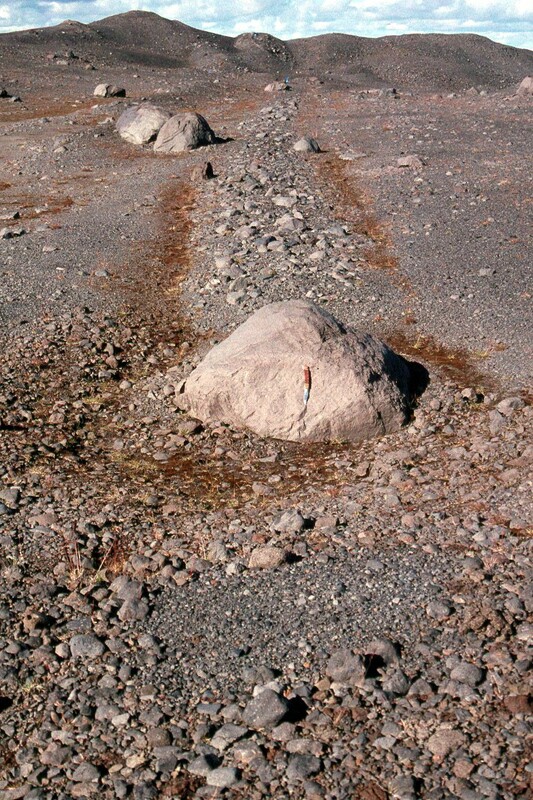 Lodged boulder, Brúarjökull forefield. Photo: Ó. Ingólfsson, 2004. Lodgement till, Sólheimajökull forefield. Photo: Ó. Ingólfsson, 2004. 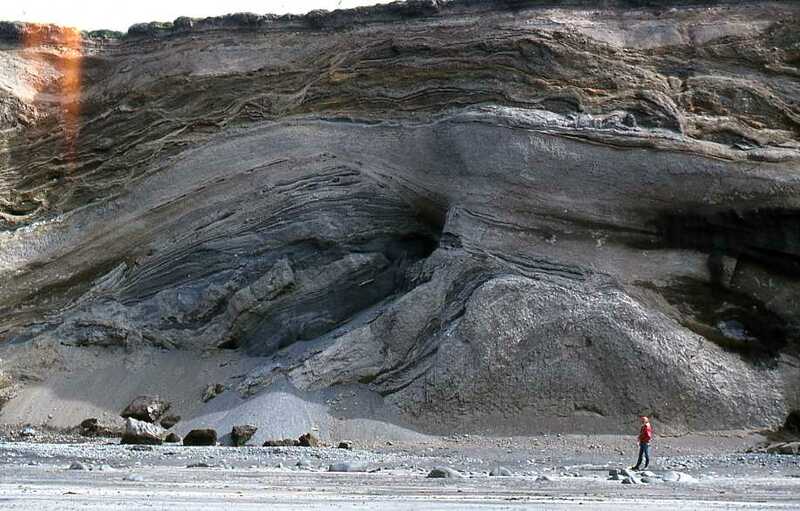 Low angle thrust fault, Brúarjökull 1890 moraine. Photo: Ó. Ingólfsson, 2004. 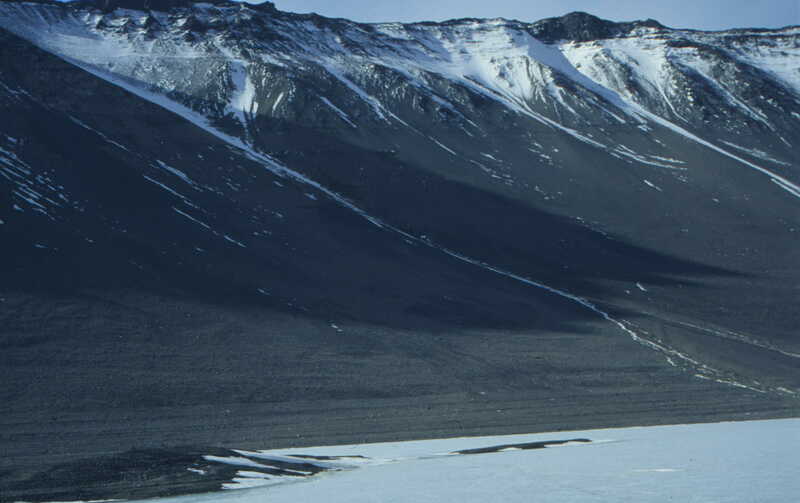 Ice cored moraines, Ares Oasis, Alexander Island, Antarctica. Photo: Ó. Ingólfsson, 2000. Patterned ground. Thule, Greenland. Photo: Ó. Ingólfsson, 1986. 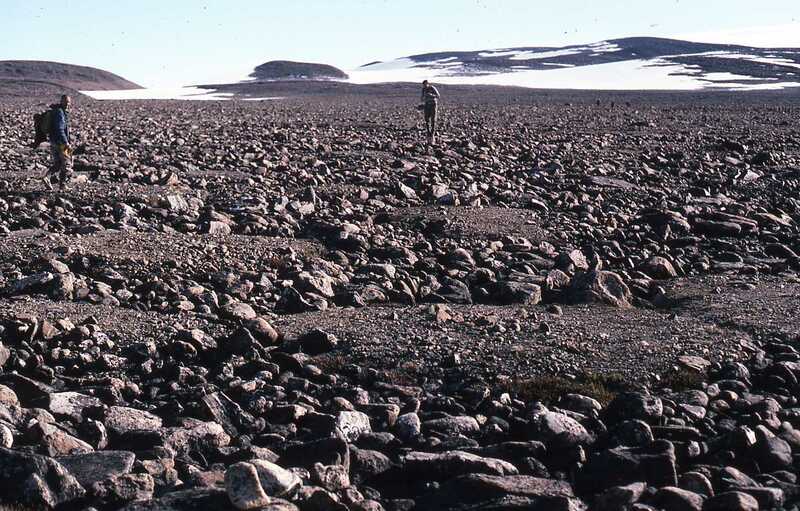 Patterned ground, Kvadehuksletta, Bröggerhalvöya, Svalbard. Photo: Ó. Ingólfsson, 1998. 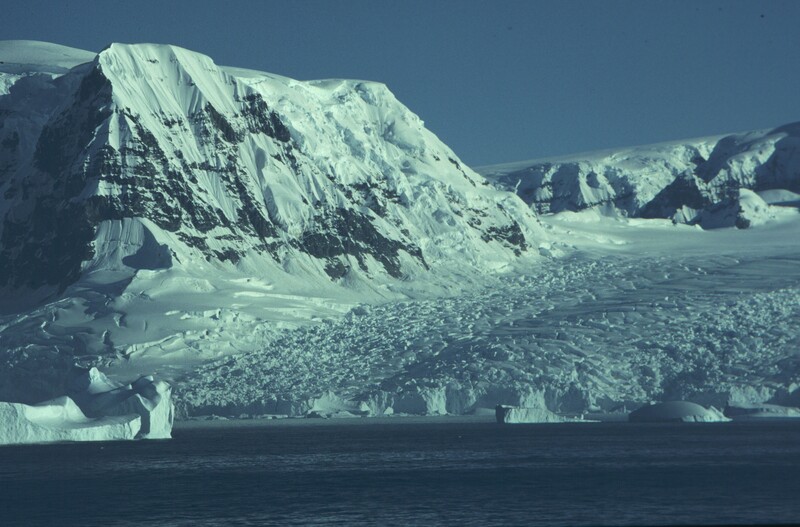 Pressure ridges, where George VI Sound ice shelf transgresses Alexander Island, Antarctica. Photo: Ó. Ingólfsson, 2000. Raised beach ridge, Cape Roberts, Southern Victoria Land, Antarctica. Photo: Ó. Ingólfsson, 1994. 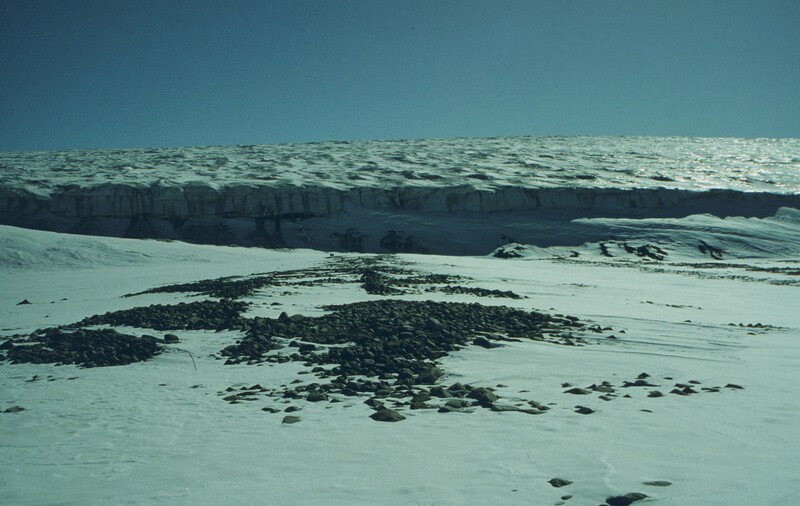 Raised beaches disappear below the Wilson Piedmont glacier, Southern Victoria Land, Antarctica. Photo: Ó. Ingólfsson, 1994. Recently drained dead ice pond. Brúarjökull 1890 moraine complex. Photo: Ó. Ingólfsson, 2004. Hummocky moraine. Brúarjökull 1890 end moraine complex. Photo: Ó. Ingólfsson, 2004. 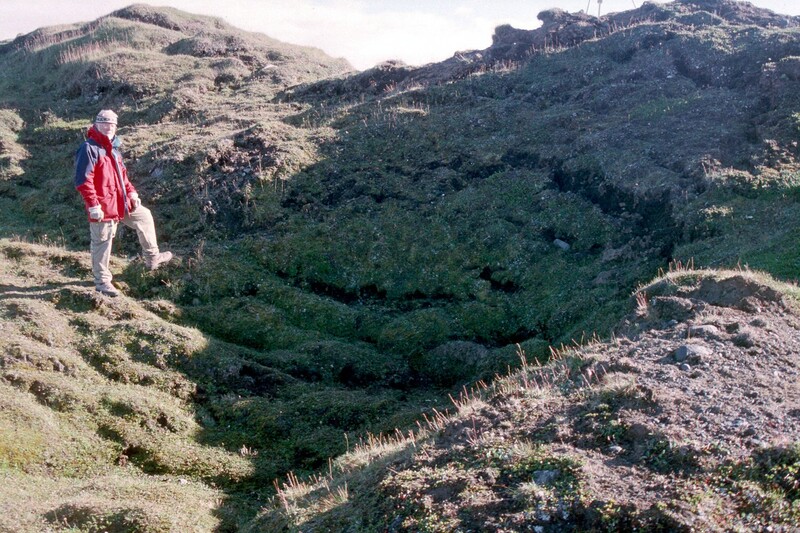 Sinkhole, Gígjökull ice cored lateral moraines. Photo: Ó. Ingólfsson, 2004. Small flute behind a lodged boulder, Brúarjökull forefield. Photo: Ó. Ingólfsson, 2004. 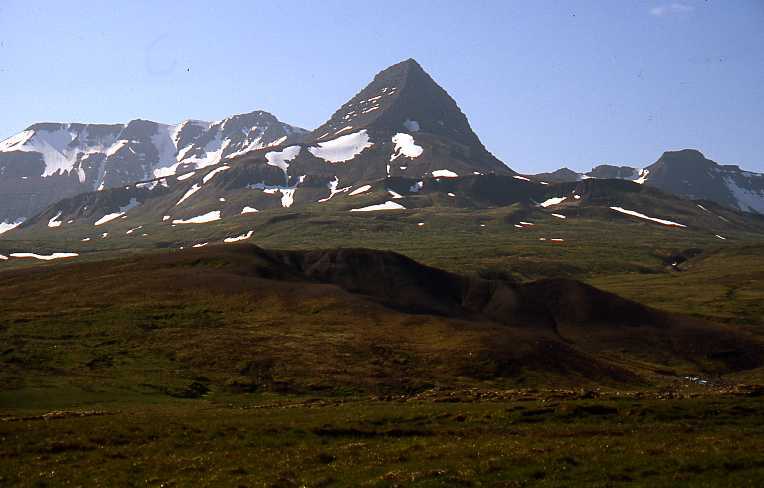 Section cut by Jökulsá á Sólheimasandi through the proglacial sandur field. Photo: Ó. Ingólfsson, 2004. Small retreat ridge in front of Sólheimajökull. Photo: Ó. Ingólfsson, 2004. Thermocarst pond at 700 m a.s.l., Brúaröræfi. Photo: Ó. Ingólfsson, 2004. 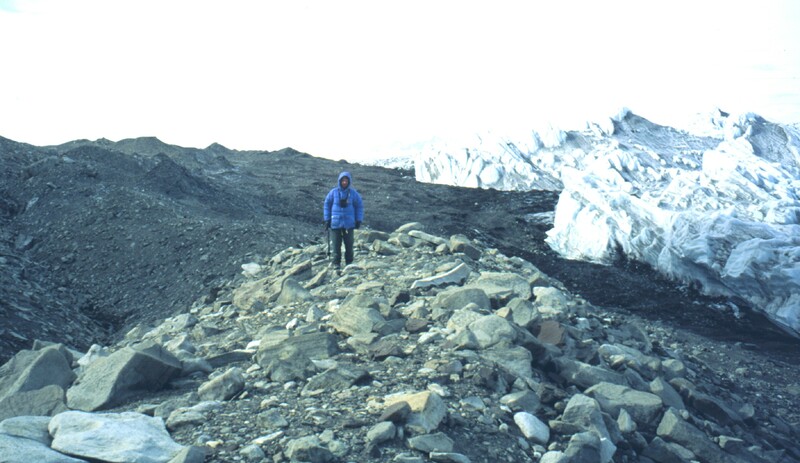 Glacial trimline at Hjorth Hill, Taylor Valley, Antarctica. Photo: Ó. Ingólfsson, 1994. Meltwater tunnel at Sólheimajökull margin. Photo: Ó. Ingólfsson, 2004. 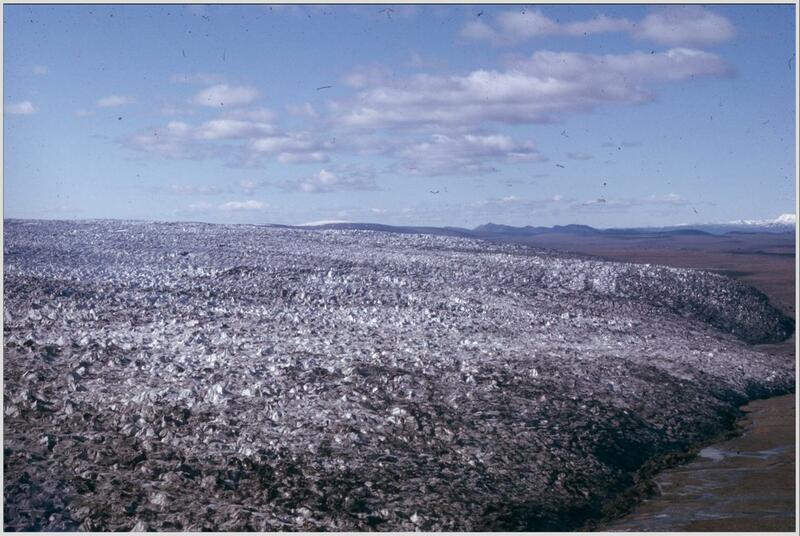 Debris foliation in glacier ice. 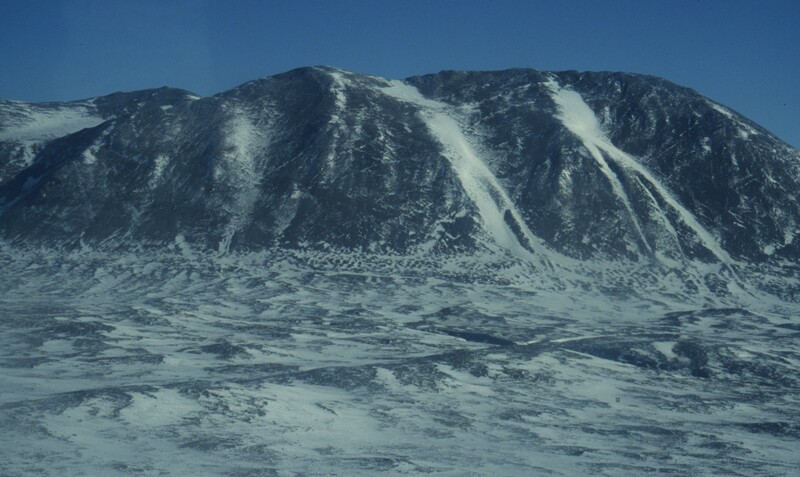 Greenland Inlad Ice margin, Thule. Photo: Ó. Ingólfsson, 2004. 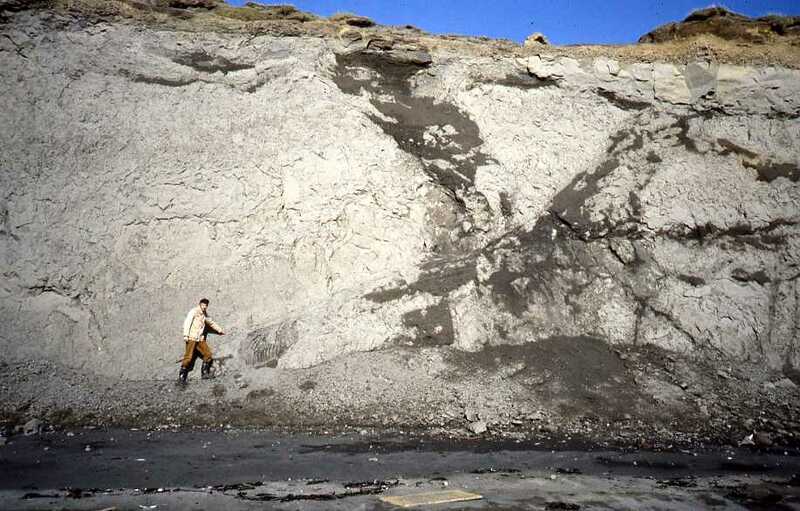 A Gilnert-type glaciofluvial delta, Skorholt, Borgarfjördur. Photo: Ó. Ingólfsson 1983. A transgressional spit closes a bay. Eidisvik, Langanes, NE Iceland. Photo: Ó. Ingólfsson, 1990. Resent beach ridge, Skagi, N. Iceland. Photo: Ó. Ingólfsson, 1992. The Queen of Mountains in Iceland, Mt. Herdurbreid. A table mountain. Photo: I.S. Jónsdóttir, 1983. In front of Kvíárjökull, S Iceland. Photo: I.S. Jónsdóttir, 1988. 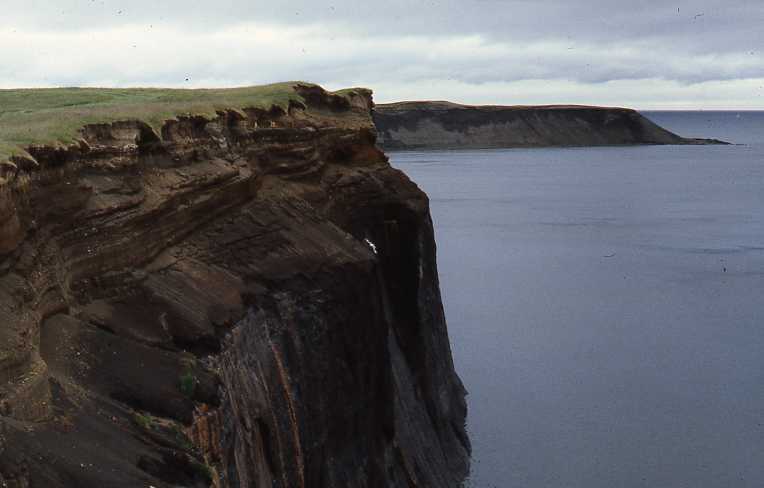 Hialoclastic ridges, formed by subglacial volcanism. Landmannalaugar, S Iceland. Photo: Ó. Ingólfsson, 1990. 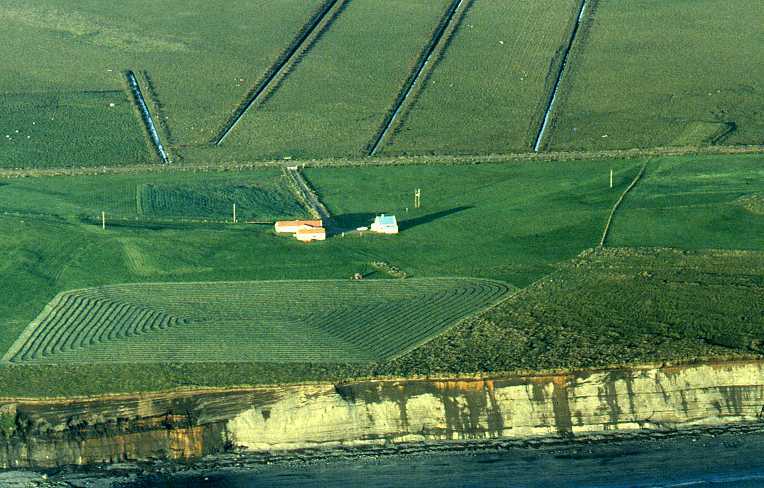 A part of the Melabakkar coastal sections seen from the air. Photo: Ó. Ingólfsson, 1985. Glaciotectonuc fold, Melabakkar. Photo: Ó. Ingólfsson, 1982. Glaciotectonically folded structure. Melabakkar. Photo: Ó. Ingólfsson, 1983. A folded structure. Melabakkar. Photo: Ó. Ingólfsson, 1983. Glaciotectonic deformations, Melabakkar. Photo: Ó. Ingólfsson, 1982. A large glaciotectonic structure. Photo: Th. Einarsson, 1980. 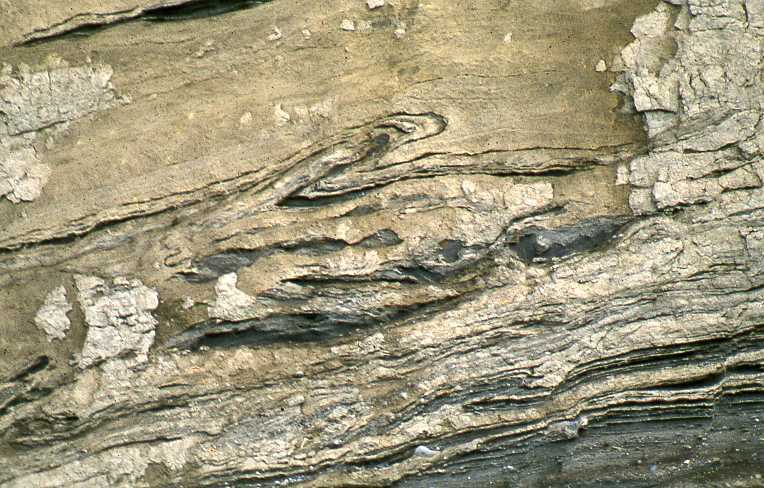 Glaciotectonic fold, Melabakkar. Photo: Th. Einarsson, 1980. A large thrust fault, Melabakkar. Photo: Ó. Ingólfsson, 1983. Melabakkar at high tide. Photo: Ó. Ingólfsson, 1979. Melabakkar at low tide. Photo: Ó. Ingólfsson, 1979. Thrust structure, Melabakkar. Photo: Ó. Ingólfsson, 1981. 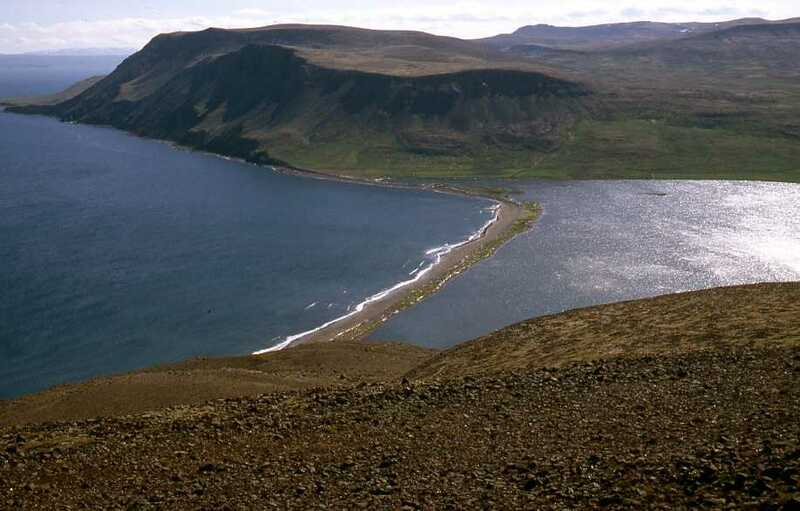 Stóri Sandhóll, a marine terrace of Bölling age at 150 m a.s.l., below the alpine scenery of Skardsheidi, W. Iceland. Photo: Ó. Ingólfsson 1998.